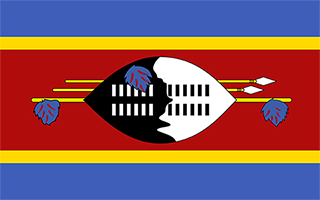 S -26° 19' 0" and E 31° 7' 59"
Mbabane in Hhohho District with it's 76,218 habitants is located in Swaziland. It's the capital of this country. Current time in Mbabane is now 09:23 PM (Monday). The local timezone is named Africa / Mbabane with an UTC offset of 2 hours. We know of 8 airports close to Mbabane. The closest airport in Swaziland is Matsapha Airport in a distance of 18 mi (or 29 km), South-East. Besides the airports, there are other travel options available (check left side). There is one Unesco world heritage site nearby. The closest heritage site is iSimangaliso Wetland Park in South africa at a distance of 88 mi (or 142 km). If you need a hotel, we compiled a list of available hotels close to the map centre further down the page. While being here, you might want to pay a visit to some of the following locations: Lobamba, Manzini, Piggs Peak, Ntfonjeni and Barberton. To further explore this place, just scroll down and browse the available info. Let's start with some photos from the area. 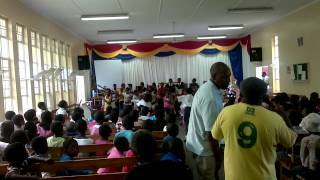 Annual Christmas party for children from Msunduza sponsored by the Rotary Club of Mbabane. Father Christmas (Tom Dlamini) hands out gifts. 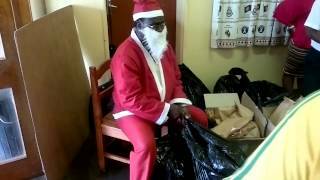 Annual Christmas party for children from Msunduza sponsored by the Rotary Club of Mbabane. CROSSING BORDERS - TRUCK DRIVING IN SWAZILAND AFRICA. This video contains several interviews with volunteers discussing their experiences working in a very different culture than their own. Recorded at Yebo! Art & Design, Lobamba, Hhohho, Swaziland. A most beautiful place. 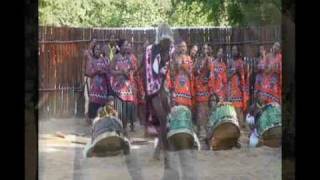 Reed Dance Ceremony 2009 in Swaziland. Mbabane, with an estimated population of 95,000 (2007), is the capital and second largest city in Swaziland. It is located on the Mbabane River and its tributary the Polinjane River in the Mdzimba Mountains. It is located in the district of Hhohho, of which it is also the capital. The average elevation of the city is 1243 meters. The population (estimated) in 1987 was 30,000. It lies on the MR3 road. Located at -26.3167, 31.1333 (Lat. / Lng. ), about 0 miles away. Lobamba is the traditional and legislative capital of Swaziland, seat of the Parliament and residence of the Queen Mother. It is located in the west of the country, in the Ezulwini Valley, 16 km from Mbabane, in the district of Hhohho. Its population is 5,800. Lobamba is famous for two ceremonies: the Reed Dance, celebrated in August and September in honour of the Queen Mother, and the Incwala, in December and January in honour of the King. Located at -26.4667, 31.2 (Lat. / Lng. ), about 11 miles away. 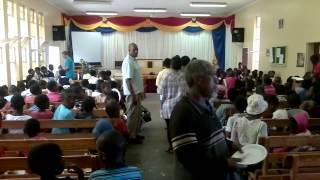 Ngwenya is a town in western Swaziland, lying near the border with South Africa, north west of Mbabane, on the MR3 road. The South African town opposite Ngwenya is Oshoek in Mpumalanga province. It is known for its glass factory and artwork. The Malolotja Nature Reserve lies near the town. Located at -26.22, 31.01 (Lat. / Lng. ), about 10 miles away. The Parliament of Swaziland consists of two chambers: The Senate (Indlu yeTimphunga) The House of Assembly The Houses of Parliament are located in Lobamba. Located at -26.4466, 31.2065 (Lat. / Lng. ), about 10 miles away. Waterford Kamhlaba United World College of Southern Africa (UWCSA) is one of thirteen international UWC schools and colleges and is located in Mbabane, Swaziland. UWC schools, colleges and programmes deliver a challenging and transformative educational experience to a diverse cross section of students, inspiring them to create a more peaceful and sustainable future. Located at -26.3029, 31.1041 (Lat. / Lng. ), about 2 miles away. Somhlolo National Stadium is a multi-purpose stadium in Lobamba, Swaziland. Built in 1968, it is currently used mostly for football matches. It is named for King Somhlolo, who had moved his people into the region that is now Swaziland about 200 years ago, and is considered the father of the country. The stadium holds 20,000 people. Located at -26.4429, 31.2056 (Lat. / Lng. ), about 10 miles away. Mhlambanyatsi is a town in western Swaziland. It is located 18 kilometres southwest of the capital, Mbabane. Located at -26.45, 31.0167 (Lat. / Lng. ), about 12 miles away. Located at -26.243, 31.053 (Lat. / Lng. ), about 7 miles away. The Royal Swazi Sun Hotel is a major entertainment complex in the Ezulwini Valley of Swaziland. Founded in 1965, the complex is located 4 hours from Johannesburg by road. It is home to a casino, a par-72 golf course, and a spa. The golf course has hosted many professional tournaments, and is the venue for two current Sunshine Tour events, the Royal Swazi Sun Open and the Lombard Insurance Classic. Located at -26.4081, 31.1727 (Lat. / Lng. ), about 7 miles away. The Mbabane River is a river of Swaziland. It flows through Hhohho District in the north-west of the country. The city of Mbabane is located along the river. Tributaries include the Polinjane River. Located at -26.4333, 31.2 (Lat. / Lng. ), about 9 miles away. Mlilwane Wildlife Sanctuary is Swaziland's oldest protected area, owned and managed by a non-profit trust. It serves as a headquarters for the Big Game Parks including Mlilwane's sister reserves Hlane Royal National Park and Mkhaya Game Reserve. The Sanctuary covers 4,560 hectares in the Ezulwini Valley or "Valley of Heaven". Formerly a farming and tin mining area, the area has been rehabilitated and is now Swaziland's most frequently visited reserve. Abundant wildlife grace the plains. Located at -26.44, 31.13 (Lat. / Lng. ), about 9 miles away. Hawane Nature Reserve was first established in 1978 to protect an area of marsh along the Mbuluzi River. This area included the natural habitat of Kniphofia umbrina, a rare Swaziland endemic red hot poker. When the Hawane dam was built in 1988 to provide Mbabane's water supply, the reserve was expanded to protect the surrounding wetlands. The reserve is managed by the Swaziland National Trust Commission. The reserve's main attraction is its wealth of birdlife. Located at -26.222, 31.085 (Lat. / Lng. ), about 7 miles away. The Ngwenya Mine is located on Bomvu Ridge, northwest of Mbabane and near the north-western border of Swaziland. This mine is considered to be the world's oldest. The haematite ore deposit was used in the Middle Stone Age to extract red ochre, while in later times the deposit was mined for iron smelting and iron ore export. Located at -26.1978, 31.0314 (Lat. / Lng. ), about 10 miles away. Hhukwini is an inkhundla of Swaziland, located in the Hhohho District. Its population as of the 2007 census was 9,837. Located at -26.3197, 31.2222 (Lat. / Lng. ), about 6 miles away. Mhlangatane is an inkhundla of Swaziland, located in the Hhohho District. Its population as of the 2007 census was 22,421. Located at -26.305, 31.1147 (Lat. / Lng. ), about 1 miles away. Nkhaba is an inkhundla of Swaziland, located in the Hhohho District. Its population as of the 2007 census was 15,704. Located at -26.1573, 31.1639 (Lat. / Lng. ), about 11 miles away. 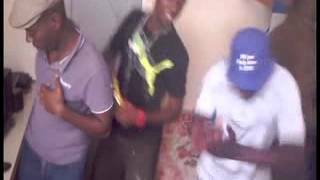 Lobamba Lomdzala is an inkhundla of Swaziland, located in the Manzini District. Its population as of the 2007 census was 18,797. Located at -26.4241, 31.1868 (Lat. / Lng. ), about 8 miles away. Indingilizi Gallery is an art gallery in Mbabane, Swaziland, established in 1982. Most of Swaziland's top artists have had their work showcased here. The gallery showcases a range of Swazi art including sculptures, paintings, batiks, mohair, ethnic jewellery and pottery. Located at -26.3206, 31.1444 (Lat. / Lng. ), about 1 miles away. Mbabane Government Hospital is a national hospital in Mbabane, Swaziland. Nkosazana Dlamini-Zuma worked at this hospital at a paedeatric nurse in the 1980s. 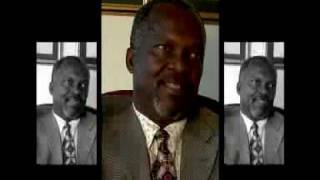 In 2007, the Minister for Health and Social Welfare, Njabulo Mabuza, banned the media from entering the hospital. Located at -26.3317, 31.1436 (Lat. / Lng. ), about 1 miles away. Mdimba is a mountain and hill range in northwestern Swaziland. Mount Mdimba flanks the eastern side of the Ezulwini Valley. This valley was once the residence of the Swazi royal family and is shrouded in legends and mysteries. The Mdimba hills historically have had strategical importance and contain many caves in which locals would hide during raids. In 1826, the Swazi people retreated into the hills during an attack by the Zulus. The Boers met with the locals of Mdimba on 16 December 1889. Located at -26.3833, 31.2667 (Lat. / Lng. ), about 9 miles away. Sibebe Survivor is a famous annual hike in Mbuluzi, Swaziland, involving a climb to the top of Sibebe, the world's second largest single granite monolith. Initiated by the Rotary Club of Mbabane-Mbuluzi in July 2004, the Sibebe Survivor hike follows a course from Mbuluzi High School to the top of the rock and back. The number of participants has increased annually, with almost 3,300 climbers in 2011. Located at -26.1541, 31.1017 (Lat. / Lng. ), about 11 miles away. These are some bigger and more relevant cities in the wider vivinity of Mbabane. These are the most popular locations in Swaziland on Tripmondo.